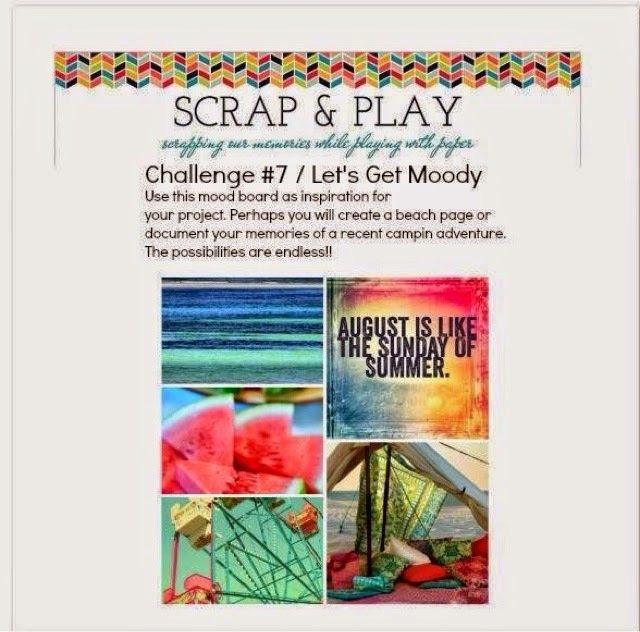 Challenge 7 over on the Scrap & Play blog is a mood board challenge. After looking at the board I decided to scrap about our weekend camping last summer. We both worked all summer and said we wouldn't have a holiday as we needed to save some money, but by August we needed to get away for a bit so we popped up the road to Wing Hall over the August Bank Holiday weekend and chilled out. I used more papers from the Hello Little Magpie grab bag, this time from Fancy Pants and Studio Calico. I layered different cut aparts above the photos from American Crafts, Papermania & MME, and even managed to use some canvas tags from an old kit which I had no idea how to use. Awesome take on the challenge and mood board. I love that Pink doily - and great photos! Thanks for playing along at Scrap and Play! 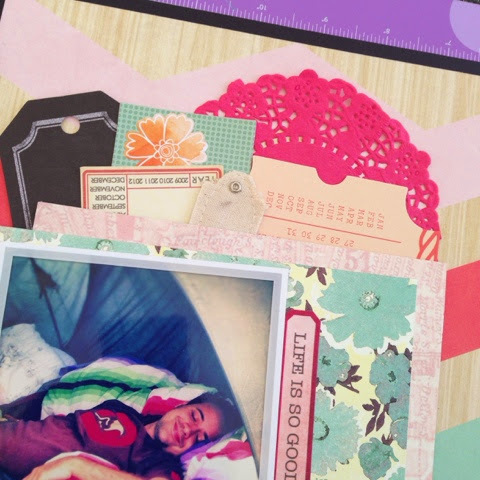 love your great layers and fun paper choices!!! Thanks for playing along with us at Scrap & Play!! 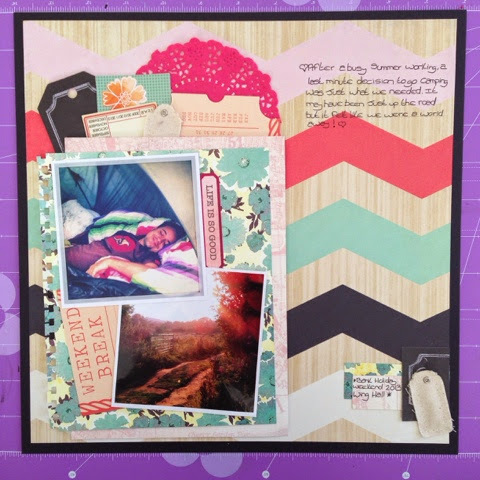 Love the chevron and such great layers!! Thanks for playing along with us at Scrap & Play!! Love how you've pulled all the colours out from the chevron paper in your doilie and other papers. Gorgeous layering too! fantastic layout!!! Thanks so much for joining us at Scrap & Play!! Love all your layers and pink doily! Thanks for joining us at Scrap & Play!